You must be a member of the Istanbul Asian Side Runners Group to attend this activity. Would you like to join this group? Let the Asian-side runners run together! The run takes place between Protected content . There are different distance options to choose from 5 to 10km. WE ARE LEAVING NOBODY BEHIND! We run together, with groups at pace routes to suit everyone from beginners upwards. Some of the group also walk. 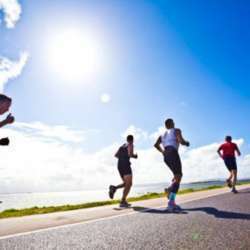 After running, we will get together at one of the local cafes to enjoy the beautiful sight of the Shoreway. If you are registered to attend the event but are unable to join, out of courtesy for those attending, please could you let us know at least an hour in advance.